The Churchyard Working Party are volunteers who generally meet on the third Friday of every month to maintain the churchyard around the Church and the Church Hall. We meet at 10.00, by the shed at the back of the old churchyard. We stop for coffee, biscuits/cake and a chat at 11.00, and finish between 12.00 and 13.00 - but you can finish earlier if you like. You are welcome to come and help for as long as you want - why not give it a go? Each month the ‘green gym’ activities may include: brushing all the paths around the Church and hall; trimming back shrubs on the various paths; clearing weeds; sorting flowers, oasis and containers; cutting grass paths in the old Churchyard; cutting the hedges, trimming path edges; and burning any debris, where possible. All tools are provided. Paul and Penny Kurowski on 01395 742942. 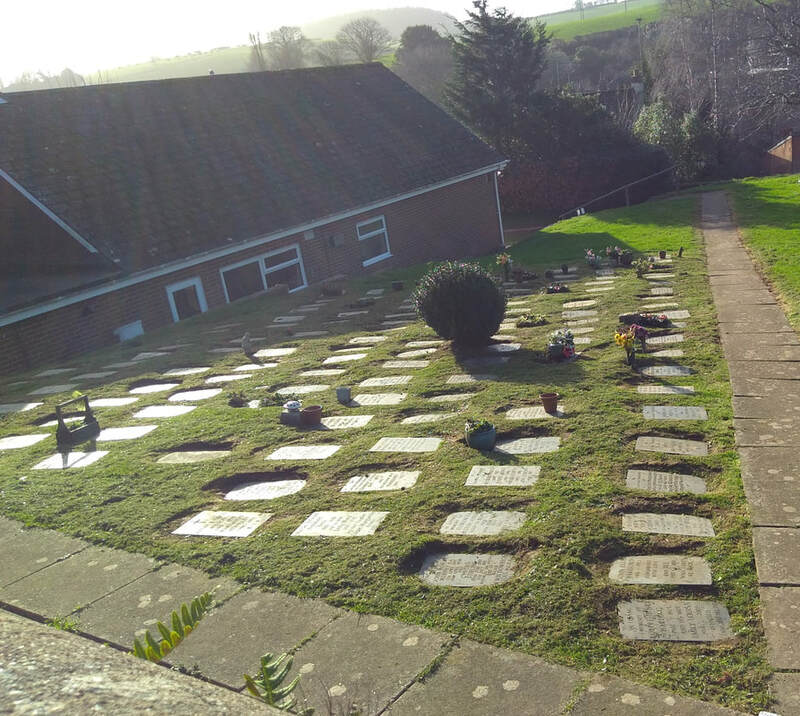 The memorial garden, beautifully strimmed and tidied by one of our volunteers on 21 December 2018. He removed the molehills, and afterwards made sure all the flowers were put back in their correct position.